The International Child Neurology Association is pleased to announce the names of those selected to receive the ICNA 2018 Awards at the 15th International Child Neurology Congress to be held in Mumbai, India November 15-18, 2018. 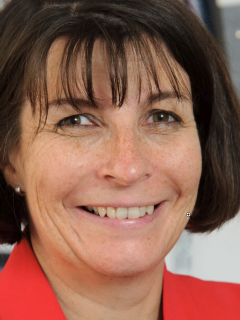 Professor Helen Cross is The Prince of Wales's Chair of Childhood Epilepsy and Honorary Consultant in Paediatric Neurology at UCL Institute of Child Health, Great Ormond Street Hospital for Children NHS Trust, London, and Young Epilepsy, Lingfield. Professor Cross epitomises the spirit of the Frank Ford award. Her research has focused on improving outcomes for children with early onset epilepsy. 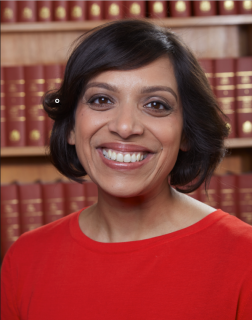 Her early research was into improving imaging techniques to determine areas of likely seizure onset in children with drug resistant focal epilepsy and has developed an epilepsy surgery programme based on her research. Professor Cross has published widely on seizure, neuropsychological and behavioural outcomes in children who have undergone surgical resection for treatment of their epilepsy. She conducted the first randomized controlled trial of the ketogenic diet in the treatment of children with drug resistant focal epilepsy and is endeavouring to conduct the same in the very young and adults. Recognising there was little in the way of control data with regard to neurodevelopmental progress, she initiated the North London Epilepsy in Infancy study, where a cohort of children was recruited at diagnosis in the first two years of life, and has been followed to at least three years. She is now aiming to conduct a similar study over a wider geographical area, also examining phenotypes and genotypes. Professor Cross is currently an ICNA Board Member, Clinical Advisor to the Children's Epilepsy Surgery Services (CESS) (2012-present), Chair of the Medicines for Children Research Network Neurosciences Clinical Study Group (2012-present), Chair of the Evidence Update of the NICE Guidelines for Epilepsy (2013) and Secretary General of the ILAE (2013-2017). She is also on the Editorial Board of Epileptic Disorders, Epilepsy Research, Developmental Medicine Child Neurology and European Journal of Paediatric Neurology. Besides her well-recognised contributions to child neurology, Professor Cross has been passionate about spreading the word of child neurology by teaching around the world including Uganda, Kenya and South Africa. Dr Kurian is an outstanding early career clinician scientist, who has already made a significant contribution to the care and treatment of children with severe neurological disorders over a relatively short period of time. Her programme has led to the further understanding of several complex neurological disorders, utilising gene discovery to further understand the mechanisms underlying the disease, and subsequently exploring the possibility of therapy. She has over 70 publications including work published in Nature Genetics, Nature Communications and Lancet Neurology. Furthermore, she has developed strong leadership skills as an independent principal investigator, establishing links with key collaborators nationally and internationally in her field. Her initial work, as her PhD, resulted in the identification of the first parkinsonian disorder associated with mutations in the SLC6A3 dopamine transporter gene. Since then she has developed a strong expertise in genetics, and has identified a number of new genetic diseases in movement disorders, early onset epilepsies and neurodegenerative disorders. Delineation of the disease phenotypes for genotype phenotype correlation has been a considerable strength of her programme. To further progress possible therapies, she has utilised a number of techniques to elucidate disease mechanisms in these neurological disorders including cell models, neuronal cell models, induced pluripotent stem cell derived dopaminergic cell models and animal models (fly/mouse/zebrafish) to assess the effect of mutations on gene function. More recently her group has been exploring therapeutic options at a number of levels including drug screens in cell and animal models, as well as proof of concept gene therapy trials in murine models of certain diseases. Dr Pauline Samia has made significant contributions to Paediatric Neurology in Africa, serving on the Paediatric Commission for the International League Against Epilepsy, and has raised public awareness of many neurological conditions in East Africa, through her interaction with the media.For a busy clinician she has an impressive publication record, with papers on epilepsy, HIV and Tuberous Sclerosis. She has written chapters for textbooks on neurology in Africa, two of which are to be published this year. 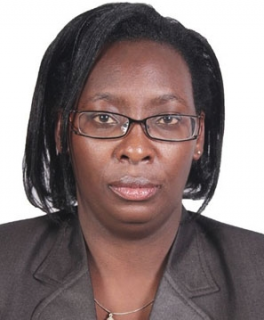 She is organising the first epilepsy training course in East Africa, and leads the neurology section of the Kenya Paediatric Association.